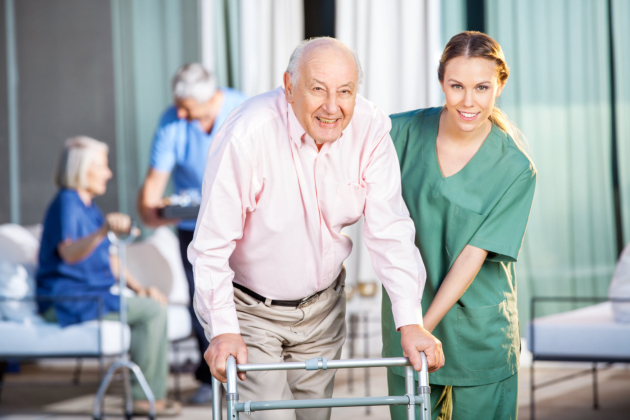 If you are looking for healthcare services that do not prompt you to scratch the back of your head even in the absence of an itch (because of the exorbitant price), then you need the services of an adult day care center. Adult day care centers have proven to be an affordable alternative to such healthcare providers as nursing homes, assisted living facilities, or in-home care. The difference in cost is nothing to sneeze at. Nursing homes stand as the most expensive among the four, as much as 5 to 6 times more costly than an adult day care center, followed by assisted living which is about 3 times more expensive, then in-home care not much farther than assisted living. You will surely ask: Why the huge difference in price? Does it have something to do with the type and quality of service among the four providers? Do they factor the skills and capabilities of the professionals and other employees involved? Do they consider the setting in which the service is being provided like a house, an outside facility, etc.? For us at the Trinity Care, there’s not much difference among the four types of healthcare givers in terms of the services offered, the kind of professionals that we employ, the skills sets that are required in the industry, etc. There’s a hairline of a difference, though, when it comes to the milieu of our service. We say hairline because the setting of the healthcare provision is just incidental. What counts the most are the services themselves, which are practically similar across all businesses. We also provide companionship, skilled nursing, recreational and therapeutic activities, nutritious meals, etc. In short, we do what others do. The question now is, why patronize the services of other providers when there is an affordable alternative in adult day care centers? We are ready to receive your inquiries, suggestions, and requests through our phone line 770-703-6721, our fax number at 678-515-3250, and our email facility at info@trinitycareadc.com. We would be happy to welcome you to our place at 1483 John Robert Drive, Suite B-D, Morrow, GA 30260 (view map & directions ») and give you a tour of our facility. We are open from Monday through Friday, from 7am to 6pm. Are you a big fan of social media? If so, please follow us on Facebook, Twitter, Google+, and Pinterest. Let’s continue our conversation about the advantages of our services over the others through these sites, and invite our family, friends, and acquaintances to join us. How do you find adult day care centers as the more appealing but less costly alternative to nursing homes, assisted living agencies, and in-home care providers? The comments section below this article is all yours for your views and reactions. This entry was posted in Adult Day Care Center and tagged adult day care center, Health Care. Bookmark the permalink.